Akwa United have officially unveiled their new kits for the 2017/2018 Nigeria Professional Football League season which kicks off in January. Aiteo Cup holders Akwa United made the announcement with pictures of the new home and away kits on their official Twitter handle on Monday. 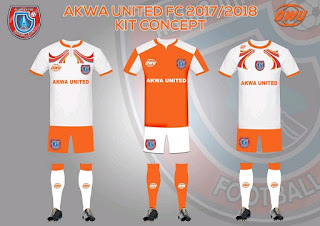 The home kit is the usual orange jersey, white shorts and orange socks, with the jersey carrying the club’s kit manufacturer and club logos on the chest. The away kit is a white jersey, also with the club’s kit manufacturer and club logos, orange short and white socks. Akwa United won the 2017 Aiteo Cup after defeating Niger Tornadoes 3-2 on penalties after a goalless 90 minutes in the final in Lagos. They will represent Nigeria alongside Enyimba in next season’s CAF Confederation Cup.